tvN’s newly released What’s Wrong with Secretary Kim (金秘书为何那样?) drama has been making headlines among the viewers lately! 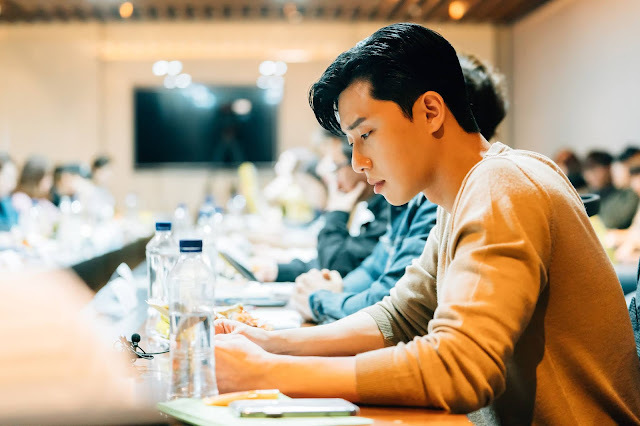 Starring a stunning cast, Park Seo Joon (朴叙俊) and Park Min-Young (朴敏英), the two actors simply nailed it again with their incredible synergy and charming acting! Based on a popular web novel, the drama tells a story of a comical office romance between a narcissistic vice president of a company Lee Young-joon (Park Seo Joon), who does his best not to lose his perfect secretary, Kim Mi-so (Park Min-young) after she makes the decision to quit her job to move on to start a new chapter in life. Thanks to tvN Asia, GOkpop was given an amazing opportunity to have an exclusive written interview with Park Seo Joon and Park Min-young regarding to their on-going drama What’s Wrong with Secretary Kim! The heartthrob duo shared their feelings about their unique characters and approaching new challenges of different genre! Q: This drama theme is romantic-comedy. Park Seo Joon (PSJ) and Park Min-young (PMY), how does it stand out from similar drama? Q: What comes into your mind when you first read about the characters Lee Young-joon and Kim Mi-so? PSJ: Lee Young-joon is the vice president of Yoomyung Group, and a narcissist who loves himself so much. He is ‘the perfect human’ who was always at the top for everything since birth. PMY: I think Kim Mi So, the character I play, is the legend of secretary who has mastered everything as she assisted the narcissist vice president Lee Young-joon for 9 years. When I first read about this character, I thought she is a very lovely character. 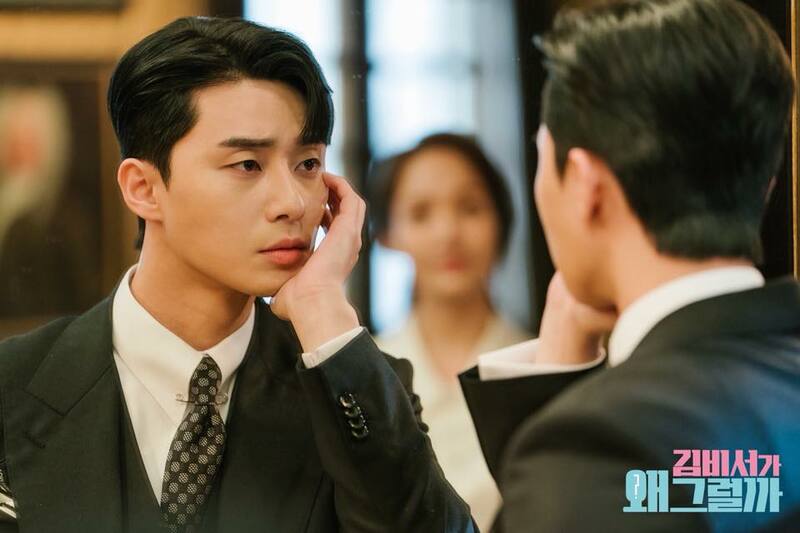 Q: Park Seo Joon (PSJ), you mentioned that Lee Young-joon is your complete opposite, what is the complete opposite character compared with your actual personality? PSJ: Since Lee Young-joon is set to be a perfect man, there are more differences than similarities. For example, while Lee Young-joon loves himself so much, I am strict to myself and usually judge myself objectively. Q: Park Min-young (PMY), since this is your first romantic comedy drama, how do your approach to this new role which you are unfamiliar with? What is the biggest challenge? PMY: Whenever I watched movies or dramas, I kept my eyes on the beautiful clothes the actresses are wearing and kept thinking about the styles like “Those clothes are pretty. What kind of clothes should Kim Mi-so wear?” I am not a good rider of roller coaster, or other rides at the amusement park. This time, I had to challenge myself in taking the rides to shoot the date scene with Young-joon. Q: What do you think about the character Kim Mi-so and Lee Young-joon? PSJ: Kim Mi-so has been working as a secretary of ‘the perfect man’ Lee Young-joon for 9 years. I think the character has enough abilities to be called as ‘the legend of secretary’. Q: Tell us about the character of 'Lee Young-joon' from the drama. PMY: Young-joon is a very unique character that cannot be seen in other dramas. The lines are very witty which makes the drama very fun and engaging. Q: Lastly, please send a message to our viewers from Singapore and Malaysia. PSJ: Viewers from Singapore and Malaysia! 'What's Wrong with Secretary Kim' is a fun, unique drama that draws out the fun storyline with various characters. I guarantee that it will be great drama! Also, stay tuned for my future portfolios as well! Thank you! PMY: Hi all, this is Park Min Young. Once again, I would like to send a high appreciation to you all for the great support for our drama and also the character of Kim Mi-so. I will try my best to show the best out of me, and Miso so stay tuned with our drama! Thank you. 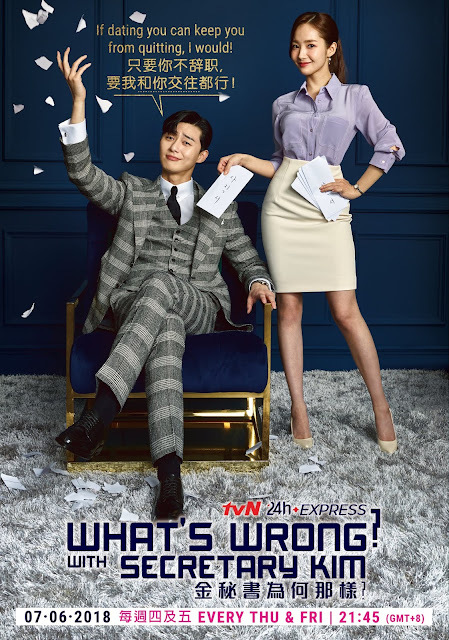 You can check out What's Wrong With Secretary Kim exclusively on tvN in Singapore and Malaysia on every Thursday and Friday at 21:45. Catch it on Singtel TV 新电信电视 Ch. 518 / 619 or StarHub TV 星和视界 Ch. 824 or on-demand via Singtel TV GO or StarHub GO in Singapore; and on Astro Ch. 395 or unifi tv Ch. 211 or on- demand via Astro GO or unifi play tv in Malaysia with subtitles in English, Chinese and Bahasa Malaysia.